On the 11th (Tue), admire the striking features of Plaza de Espana and then get in on the family fun at Parque Isla Magica. Get ready for a full day of sightseeing on the next day: browse the exhibits of Royal Alcázar of Seville, then snap pictures at Puente de Isabel II (Puente de Triana), then delve into the distant past at Archaeological Ensemble of Italica, and finally take in the spiritual surroundings of Seville Cathedral. 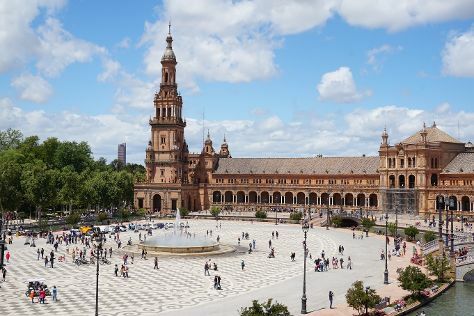 For reviews, more things to do, photos, and other tourist information, use the Seville trip planner. Expect a daytime high around 38°C in July, and nighttime lows around 22°C. Wrap up your sightseeing on the 12th (Wed) early enough to travel back home.